Central AC is a very common cooling solution. 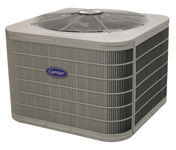 Central air conditioning is a popular air conditioning solution throughout the nation. Central air conditioning systems are easy to use, don't take up much space, and are very effective at circulating air throughout your home. While they are more expensive than window mounted units, many homeowners are confident that the investment is worth it. Whether you are interested in installing a central air conditioning system or already own one that is need of repairs or maintenance, Air Inc. Heating and Air Conditioning is here to help. As the leader in indoor air quality and air conditioning systems, Air Inc. Heating and Air Conditioning's fully licensed mechanical contractors in Connecticut provide comprehensive central air conditioning system installation, repair, and maintenance services. Contact us today online or give us a call at 1-844-359-5454 to schedule your free estimate! We proudly serve Guilford, North Haven, Branford, and the nearby area. At Air Inc. Heating and Air Conditioning we offer advanced non-ozone depleting Puron® refrigerant in our eco-friendly air conditioners or heat pumps. By choosing higher efficiency equipment that uses Puron refrigerant, you'll enjoy enhanced comfort, more reliable products, money savings and environmentally sound operation all at once. Start meeting your central air conditioning needs with a free estimate! Do you have a central air conditioner? Do you need one? The experts at Air Inc. Heating and Air Conditioning are here to help! 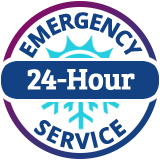 Contact us today and schedule your free estimate for central air conditioning installation, repair, or maintenance in Guilford, North Haven, Branford, Madison, East Haven, Hamden, New Haven, Milford, Woodbridge, West Haven, and nearby CT!